Congress' Rich Got Richer In Recession: Watchdog : It's All Politics Lawmakers' average wealth rose 16% during the recession. 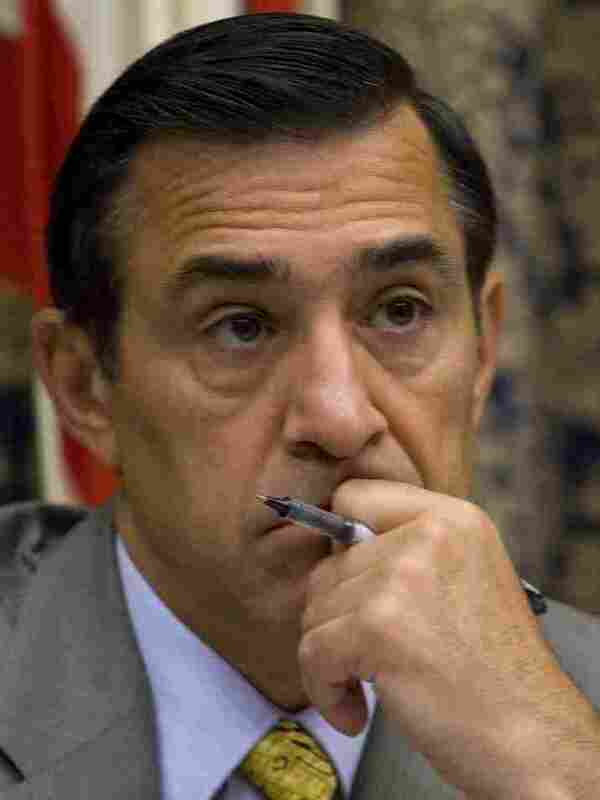 The Center for Responsive Politics said Rep. Darrell Issa (R) was the wealthiest with an average wealth of $303.6 million. The rich are getting richer and some of them are in Congress. A watchdog group's examination of the 2009 financial disclosure forms of members of Congress found that, on average, they increased their wealth by double-digits during the recession. But the review of those forms by the Center for Responsive Politics also underscored how inadequate those disclosures continue to be since 1) members of Congress only have to report only ranges for their assets and 2) they're filed on paper, not electronically, making them more difficult to access, which the point. According to the the CRP, the member of Congress with the highest average wealth was Rep. Darrell Issa (R-CA), whose average wealth was put at $303.6 million. Issa made his fortune as the owner of a car-alarm manufacturer. Issa is due to become chair of the House Oversight and Government Reform Committee. Massachusetts Democrat Sen. John Kerry was the wealthiest in the Senate, with an average wealth of $238.8 million. WASHINGTON — Members of Congress are enjoying their own financial stimulus. Despite a stubbornly sour national economy congressional members’ personal wealth collectively increased by more than 16 percent between 2008 and 2009, according to a new study by the Center for Responsive Politics of federal financial disclosures released earlier this year. And while some members’ financial portfolios lost value, no need to bemoan most lawmakers’ financial lot: Nearly half of them -- 261 -- are millionaires, a slight increase from the previous year, the Center’s study finds. That compares to about 1 percent of Americans who lay claim to the same lofty fiscal status. And of these congressional millionaires, 55 have an average calculated wealth in 2009 of $10 million or more, with eight in the $100 million-plus range.